You should know that I have officially discovered THE BEST THING THAT’S EVER BEEN MADE (after Cards Against Humanity, of course) and I had to share with you because I don’t keep anything from you (except for that one thing) and because we could all use some inspiration and also because CAN WE JUST LIGHTEN UP ABOUT BUSINESS AND HAVE SOME FUN WITH IT, ALREADY? 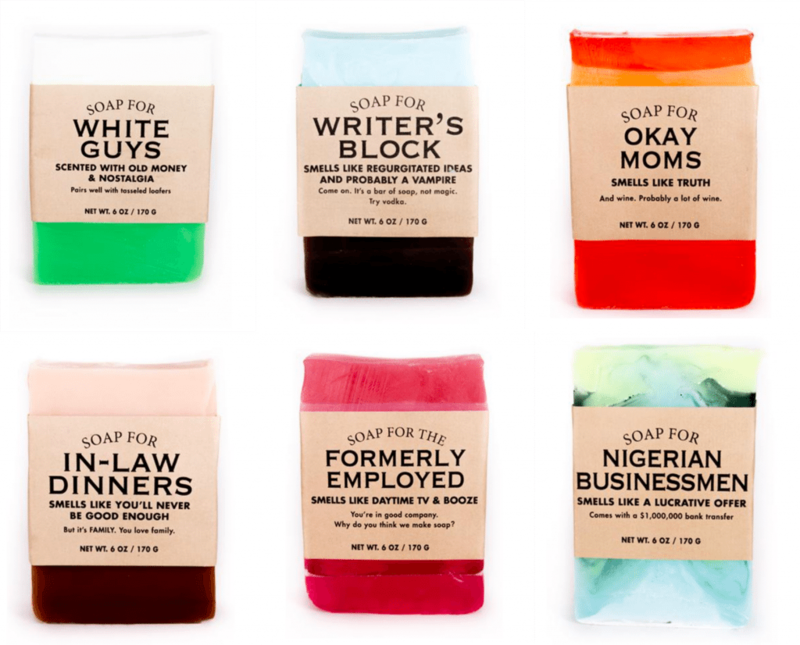 These soaps are all made by The Whiskey River Soap Company, and if you don’t think they are hilarious I’m pretty sure we’re going to have to duel. What you say about your product IS the product—more than the product itself will ever be.